I also love the instrumentation, which includes French horns, violins, cellos, and even accordions. Do you love the Beach Boys? Have you seen Love & Mercy? I'd love to hear from you in the comments, below. That has always been one of my favorite songs too! This weekend someone on the radio- don't remember who- described it as one of the most perfect pop songs ever written. Personally I'd agree, along with some of Paul Mccartney's songs- Let it be, for instance. The trailer for that movie made it look amazing!! I'd really like to see it, but it looks like it is already gone from the theater by me. Glad to hear that you weren't disappointed with it. I agree! This is a beautiful song--probably my favorite song of the Beach Boys. This is also one of my definite favorites. I've always thought it has a sort of hymnal quality, all the way down to that wonderful ascending organ line before the verse. Brilliant and beautiful. "Love & Mercy" is a wonderful film. I haven't been able to get it out of my mind since seeing it this past Saturday. I think it shows Brian as being far more creatively original and humane than his mythology has ever addressed. Thank you all for the visits! I'm so happy that you also love this song. It is probably another for my "top 10" song list. Me_Imperturbe - great description as one of the most perfect pop songs! Bob, absolutely about the hymnal quality ... I agree completely. Really like what you wrote about Love & Mercy -- "shows Brian as being far more creatively original and humane than his mythology has ever addressed." That's always been my favorite Beach Boys song too. So beautiful. This is one of the three Beach Boys songs I like. I want to like them because its the epitome of summer music but I had a roommate in college who ruined them for me. Beach Boys everyday for four years. 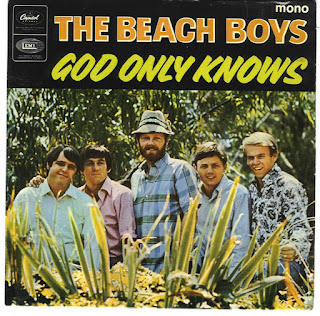 I love the beach boys, after watching that trailer I'm going to the movies sometime this week. It looks great! I hadn't every heard of the movie Love & Mercy, but after watching the trailer I want to see it. I love watching movies based off of real life stories. You never really know what someone's story is. Thanks for your comments! If y'all see Love & Mercy, I hope you enjoy it as much as we did.